Trayvon sparked a movement that stands up to fascism and white supremacy. We need to hold him in our memories. The senseless attack on Trayvon’s life reignited a movement across the globe and pushed us to acknowledge the worth of a generation that has been historically disenfranchised. Trayvon and his generation have been served incarceration, low-wage no wage jobs, over-policing and laws that criminalize our every day in this country. His murder and the acquittal of George Zimmerman left us with a sharpened clarity about what we stand for, and how we should stand up for Black lives. The phrase — black lives matter — that would turn into a hashtag, a political platform and then a global decentralized network ushered in a new way of fighting for Black lives and thus American democracy. Civil rights in this country is not enough to resolve the atrocities this country has waged against Black people. We elected a white supremacist president and, every day that he is in office, he erodes the United States constitution and emboldens a new kind of white nationalism — one that isn’t cloaked in white robes, but instead carries tiki torches and espouses hateful rhetoric. Last year marked another height of white supremacist violence in this country: We witnessed people in Charlottesville, Virginia stand up against “one of the largest white supremacist events in recent history” and then watched the Trump administration defend the racism. Last year was the one of the deadliest years of fatal police shootings, with at least 987 documented cases in the Washington Post’s fatal force database. And more specifically, in the spring of 2017, we saw the deaths of three young Black boys — Jordan Edwards, Jayson Negron and Darius Smith — at the hands of law enforcement in a month. Civil rights in this country is not enough to resolve the atrocities this country has waged against Black people. We need to fight for a new human rights movement that recognizes and values Black life. Our fight must challenge white supremacist and state violence; otherwise, we will face the complete erosion of American democracy. 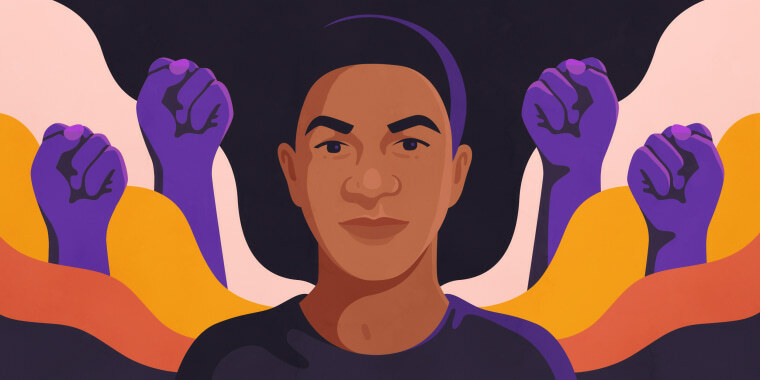 Trayvon sparked a movement that stands up to fascism, that challenges the Trump administration and its Muslim ban, border wall and desecration of humanity; we must continue to remember Trayvon in our fight for Black lives. I fight to prioritize Black mothers and Black children, because we deserve to live in a world where our healing is centered and our lives are treated with dignity, respect and care. We must bear in mind all the Black children, men, women and genderqueer folks whose lives have been taken by white supremacist violence, by vigilantes, by law enforcement and by the state. Our fight must challenge this violence; otherwise, we will face the complete erosion of American democracy (if it ever existed in the first place). We organize so that the world knows that my child, Shine, is made of magic, love, healing and grace — like so many other Black children denied their humanity. We organize marches, disrupt major highways, set up tent cities at police headquarters and charge the stages of elected officials in honor of Trayvon and others we have lost unnecessarily and too soon. We build electoral justice tables and develop movements that can develop new political leaders. We are working to do everything in our power to save America and defend our humanity. This is what Trayvon represents, and so much more. We pray and we organize, so that his life and the lives of other Black people have not been taken in vain. Patrisse Cullors is an artist, organizer and the author of "When They Call You a Terrorist: A Black Lives Matter Memoir." She is the cofounder of Black Lives Matter and founder of Dignity and Power Now.